Smartlipo is a new technique for removing excess fat that is being aggressively marketed today. This technique is generally being offered by dermatologists and other doctors who are not trained in plastic surgery, but have done a two day course, and started doing the procedure in their offices usually under local anesthetic. It is even being offered by well-trained plastic surgeons who feel that the marketing advantage to get patients into their offices is worth offering this procedure. The procedure involves the use of a very thin metal cannula with a laser fiber within it. The laser is used to disrupt the fatty cells. As is often the case when marketing a new procedure, the actual deficiencies of the procedure are made to appear to be advantages. The reason that Smartlipo is done in the office is usually because the doctors doing the procedure do not have permission to do liposuction in a hospital, because they are not trained or board certified, to do real liposuction. 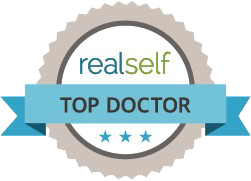 The Smartlipo procedure has very little downtime, because it is very minimal in nature and cannot accomplish very much at one time. Since the proponents do not have permission to use hospital operating rooms where general anesthesia can be done they are limited to the use of local anesthetic. The marketing will usually claim that local anesthetic is much safer than doing surgery under general anesthesia. This is really not true. If one does a procedure that is significant enough to accomplish significant improvement in an area such as the tummy or flanks or thighs or face, it is much safer to do such a procedure under general anesthesia. Using a lot of local anesthetic in an office situation can be very dangerous especially when sedation is administered. This has recently become apparent with the recent case in Florida where a healthy young woman is now brain dead after an office based liposuction procedure. There has in fact been a case in Ohio several years ago, where a patient died while having liposuction in a dermatologist’s office. I have reviewed cases for the Ohio State Medical Board, where patients had to be rushed to the local hospital after their “liposuction in the office”. In contrast, in an operating room, with proper monitoring and supervision by an anesthesiologist the procedure is very safe. Another point to look out for in the marketing material is that the photographs showing before and after pictures are often deceptive. This is a clue that the procedure being marketed is more or less useless. If you have a good look you will often notice that the photographs have different lighting or different angles or the patient is smiling after and not before etc. The patient’s neck may be extended after the procedure and flexed before. Often the difference that is shown in the before and after photograph, has little to do with the procedure, but much more to do with the actual photography technique. While there are new techniques evolving all the time, many of these eventually are discarded and recognized as ineffective. While we have to keep an open mind and be ready to recognize innovations that are positive, we also need to be on guard against exploitation by aggressive marketing by the unscrupulous.